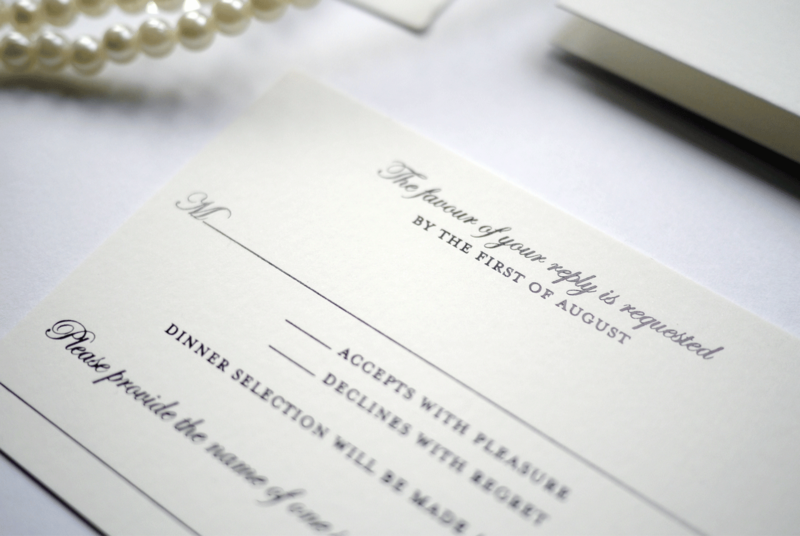 Traditional fonts work with elegant scripts to create a romantic aesthetic, but it's all in the details for this black tie wedding invitation. 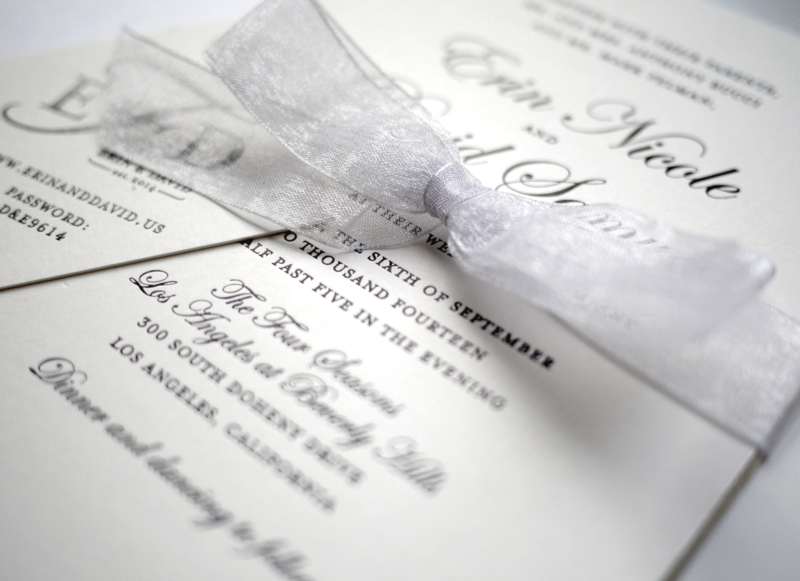 The invitation has a silver beveled edge and the envelope was sealed with a custom silver foil sticker. 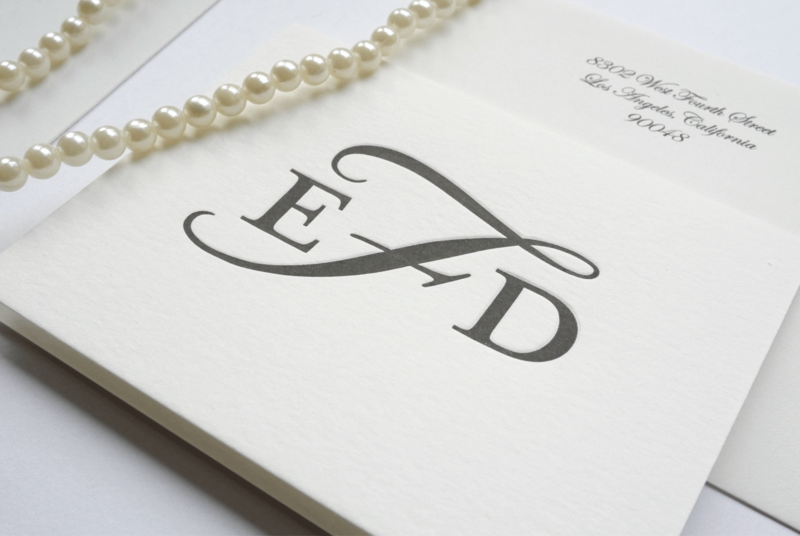 But one can't forget the personal touch of the bride's brother creating the monogram that was used on the sealing square and stationery. Foil and letterpress printed on extra thick museum board and cotton card stock. 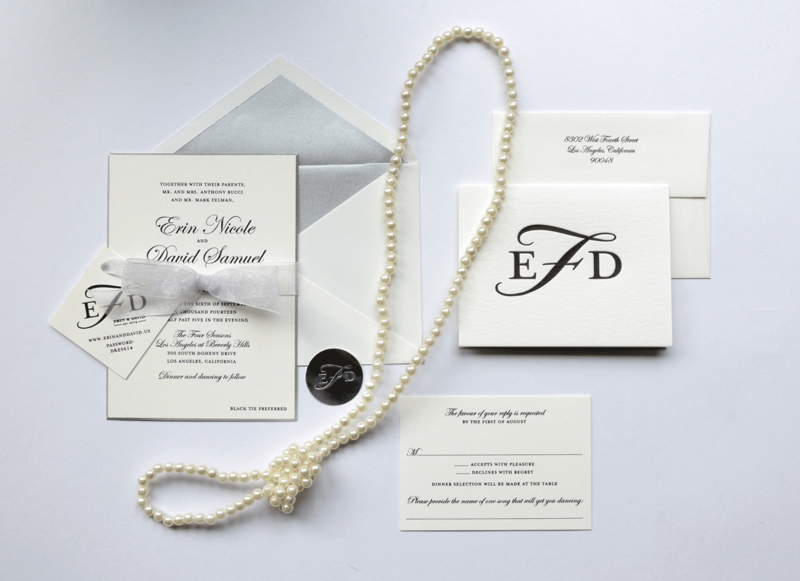 Wedding suite included an invitation, lined envelope and rsvp set all held together with a silver organza ribbon. Matching thank you note set.